It's time to embrace others... and embrace who you are. 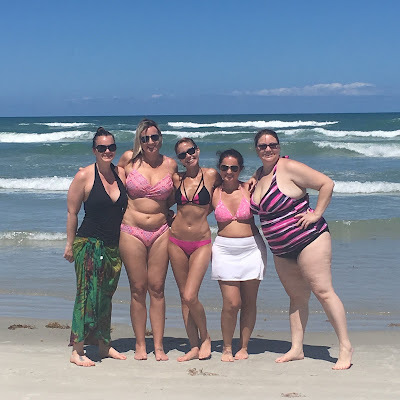 We are all different so, we shouldn't be expected to wear the same style swimsuits. You should pick out swimwear that makes you happy and comfortable. Strong women support each other and we shouldn't judge each other by what's on the outside. If you got it, flaunt it. If you want to cover something up, go for it. Show off your best asset (and don't say you don't have one because you do!) There are many styles to chose from: bra-tops, triangle tops, tankinis, swim skirts, swim shorts, cheeky, etc. Focus on your concerns, enhance your good qualities and keep a positive body image. 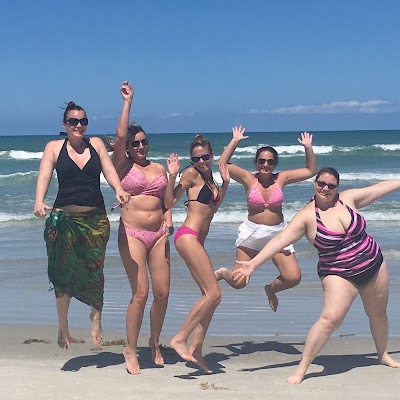 Awesome group of girls looking great in swimwear that makes us feel great! Happiness is beauty! That's right! Thank you for your comment and for your inspiration! I agree...happiness is beautiful! I love my family and friends just the way we are! I'm glad you do too! Thanks for you comment. So very nice of you. :) I'll have to check out your site to see how you help solve that issue and share it with my brother. Happy fishing!